A Japanese floral vinyl to give colour and an exotic touch to your home. 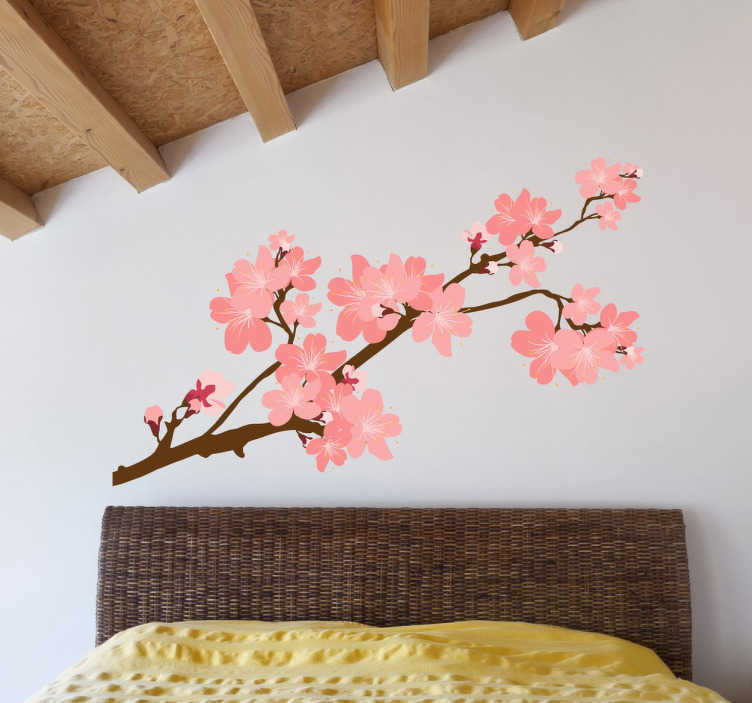 Design from our collection of Japanese wall stickers. A brilliant design inspired by the Far East, particularly by Japan. Illustration of a cherry branch with beautiful flowers in pink tones. An oriental decal ideal to create a nature-loving atmosphere and perfect for people who want to renew their favourite room or hall with oriental-inspired designs. High quality sticker and a cheap price! Available in the size that best fits the space you want to decorate. Easy to apply and remove.